Consuming optimal amounts of omega 3 fats relative to omega 6 fats is vitally important for brain health. And because brain health is EVERYTHING – I urge you to take advantage of the advice that follows to keep these two fats in a healthy balance. Tragically, the average American consumes about 20 times more omega 6 fats than omega 3 fats. The ideal ratio is felt to be closer to 2:1 (twice as much omega 6 relative to omega 3). Strive to eat oily fish at least three times a week. (Salmon, especially wild salmon is best.) There is no more effective way to reach optimal intakes of omega 3 fats than eating oily fish! 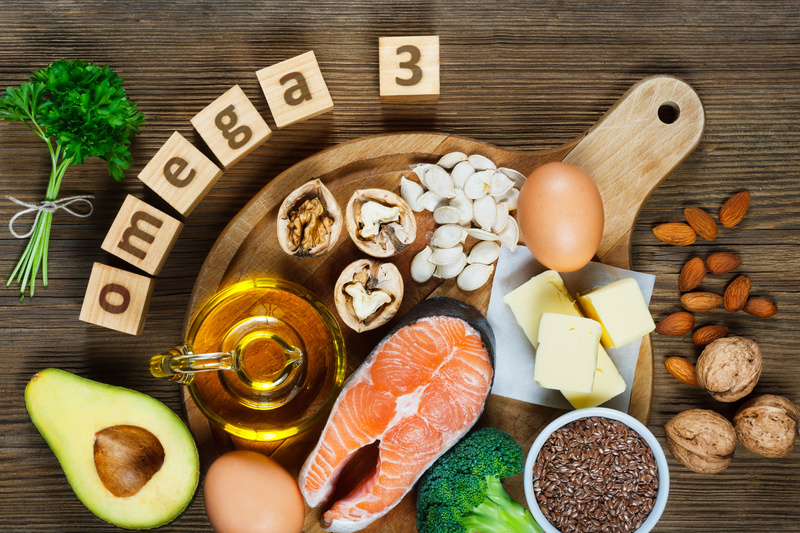 Enjoy the other omega -3 rich foods regularly – dark leafy greens, walnuts, canola oil, flax, chia, and hemp seeds, and omega-3 eggs. Restrict your intake of processed foods that contain soybean oil and corn oil. Both are filled with omega 6 fats. Beware – they are everywhere! Do not buy corn oil or soybean oil. Use olive oil or canola oil instead. Avoid salad dressings and mayonnaise that are made with corn oil and soybean oil. Make your own salad dressings with olive oil and only buy canola oil-based mayonnaise. Minimize your intake of red meats and look for grass-fed beef and pork. Conventionally raised cows and pigs are fed unnatural diets of corn and soy. THERE’S STILL ROOM FOR YOU! Join me for a wellness retreat this Friday, January 18th!